So you’ve got an evangelistic pop-culture act ready for prime time. Here’s a historical pause for reflection. Last week we looked behind the recent headlines about “Elvis Priestly,” a Canadian Anglican minister who has integrated a jump-suited impersonation routine into his sacred services. We surveyed a few of the many points at which Christians have co-opted popular artistic forms in order to get their evangelistic message across (Part I: From Oratorios to Elvis). Tom Bombadil, from The Lord of the Rings. Now there's an antimodern fellow! My forthcoming Medieval Wisdom for Modern Protestants will draw on a group of 20th-century British Christian imaginative writers who also happened to be scholars of the Middle Ages. 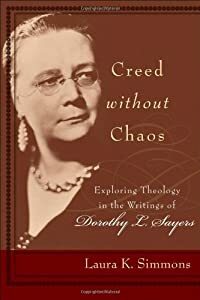 G K Chesterton, C S Lewis, Charles Williams, J R R Tolkien, and Dorothy L Sayers faced the many tentacles of modernity with a sense of alarm deepening into cultural embattlement. And they sought in medieval faith and culture antidotes to modern malaises. “Saints come in all varieties. The only kind that seems to be rare in real life is the spineless and ‘goody-goody’ figure familiar to us in the feebler sort of pious fiction and stained-glass windows of the more regrettable periods. 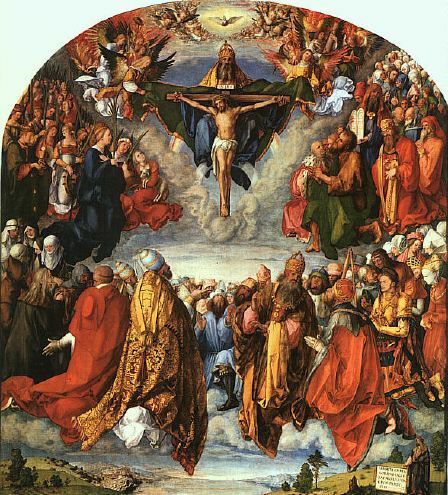 There are as many types of saint as of men and women, and most of them are people of great character. There are stormy and complex souls like Augustine of Hippo, with his burning sense of sin and his passionate love and dread of physical beauty, pouring out treatises, sermons, memoirs, apologetics, amide the distracting cares of a busy bishopric, travelling for ever between the city of the world and the City of God. There are anchorites, fleeing this world altogether, and devoting themselves to solitude and prayer: some, sweet and gentle like the desert Fathers; some, harsh and fanatical like Simeon Stylites, perched in austere discomfort upon his pillar. There is Francis, the ‘troubadour of God’, going barefoot among poor men and singing out his love to God and man and the whole creation: there is Albertus Magnus, toiling conscientiously at his vast commentaries upon Aristotle–certainly no singer, but the conspicuous glory of the Schools. There is Albertus’s still greater pupil, Thomas Aquinas, a man to whom virtue seemed to come naturally, whose towering intellect completed his master’s work and co-ordinated Greek learning and Christian revelation into a comprehensive system of Catholic doctrine. . . . There is little Theresa of Lisieux, meekly practising the Way amid the trivial duties of daily life and in the face of cramping family opposition: there is mighty Theresa of Avila, the eagle of contemplation, ruling her nuns with that fierce practical ability in which great mystics so often excel, and quite prepared to take God to task, with a tongue as vigorous as Job’s and a good deal tarter, when He moved in ways more exasperatingly mysterious than usual. Stubborn martyrs, subtle theologians, ardent missionaries, cloistered contemplatives, homely pastors, brilliant administrators, obscure social workers, orators whose spell-binding eloquence could move multitudes and shake the thrones of princes, the saints seem to have little in common except a heroic love of God and a flaming single-mindedness of purpose. Dorothy L. Sayers, “Introduction” to Richard of Chichester by C. M. Duncan-Jones (1953), excerpted in Dorothy L. Sayers: Spiritual Writings, selected and introduced by Ann Loades (Cambridge: Cowley, 1993).